I remember the darkness of autumn evenings in rural, northern Minnesota. When the lights were turned off, it was pitch black. After the poplar leaves had turned gold, their leaves gave off an eerie light in the midst of the darkness. It made the walk to a neighbor’s house an easy task without a flashlight. After the poplars shed their leaves, walking around outside in that darkness was again a precarious and dangerous task. Similarly, walking through life in general, without a clear view of where we are going, can be a dangerous task. Fog, smoke, heavy rain, snowfalls, and obstructions of all sorts can suddenly become dangerous and even life-threatening situations. 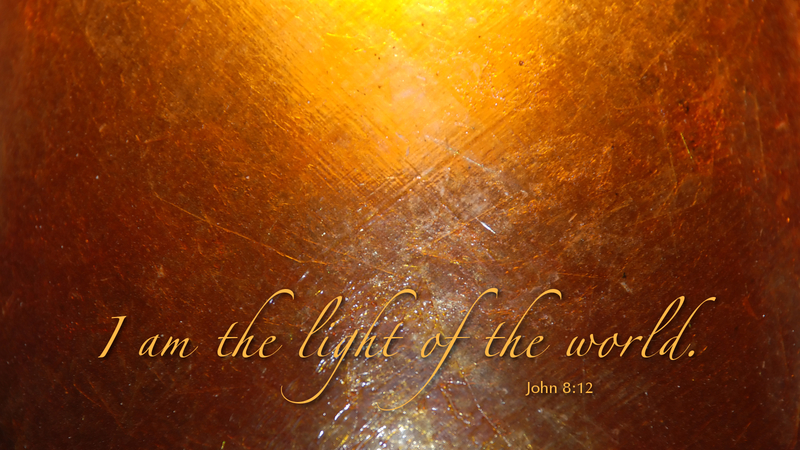 In John 8, Jesus proclaims, “I am the light of the world. Whoever follows me will never walk in darkness.” Jesus seeks to draw us away from many life-threatening and dark realities that surround us. He is calling us to follow him on a safer path to where our joy and lives will be made complete. Jesus seeks to guide you on a path to freedom from all your heartbreaking and life-robbing misdeeds to a place of forgiveness and eternal life. All you have to do is follow his lead—and believe. Prayer: Heavenly Father, illuminate your Son, Jesus Christ, as the Light of the world in our innermost beings and help us to diligently follow him. Amen.